← November 29 @ Happy Hour Sports Bar in Madison Mn. SOLD OUT!! We hired the River Rats for an ambulance fundraiser, and we were very pleased with their performance. It's been nearly a week since they were here, and people are still raving about how much fun they had. We had a special tribute planned for some very special ladies from our town, and they were more than willing to include it into their performance. 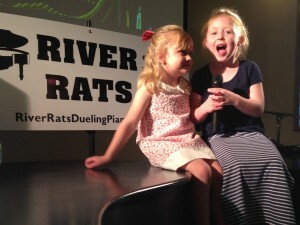 If we decide to host dueling pianos again, River Rats will definitely be getting a call.